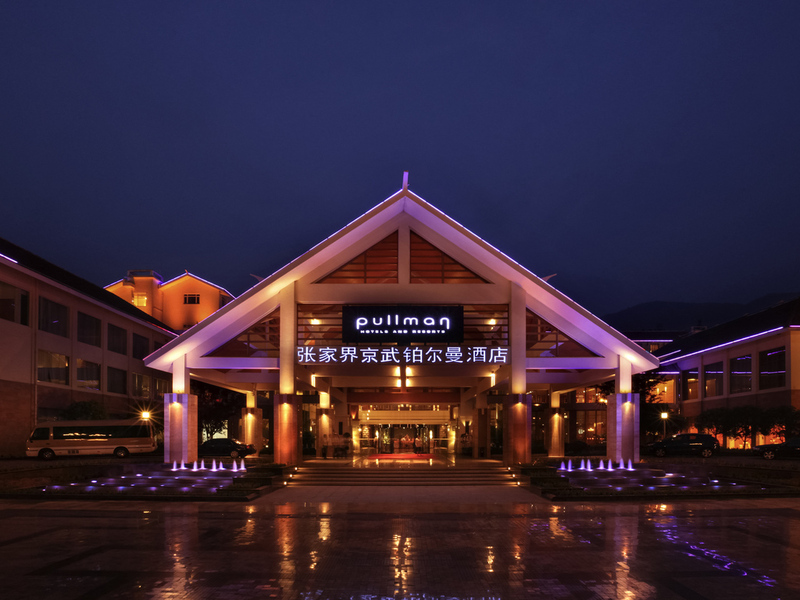 Pullman Zhangjiajie is located in the center of Wulingyuan, known as the world natural heritage, a geological park, a national forest as well as a 5A level scenic spot. With its themed architecture of Southeast Asia resort, the hotel is adapted for both b usiness and leisure, incorporating sight-seeing tours that reflect the Zhangjiajie culture. Conveniently located within a 30-minute drive from Zhangjiajie City, airport and railway station, and 3 minutes' drive to one entrance of National forest park. 400 seats available, 11 individual rooms for private dining, classic Cantonese cuisine, Traditional Xiang cuisine, Special Tuija dishes. 80 seats available, tempting exotic classic cuisine, asian and western cuisines, splendid buffet for breakfast, beautiful pool view for guests to enjoy during meal. 45 Seats available, offers selected wine, coffee, soft drinks and snacks.